Semuc Champey is a natural enclave located near the municipality of Lanquin (12 km south of Lanquín), in Alta Verapaz, Guatemala. 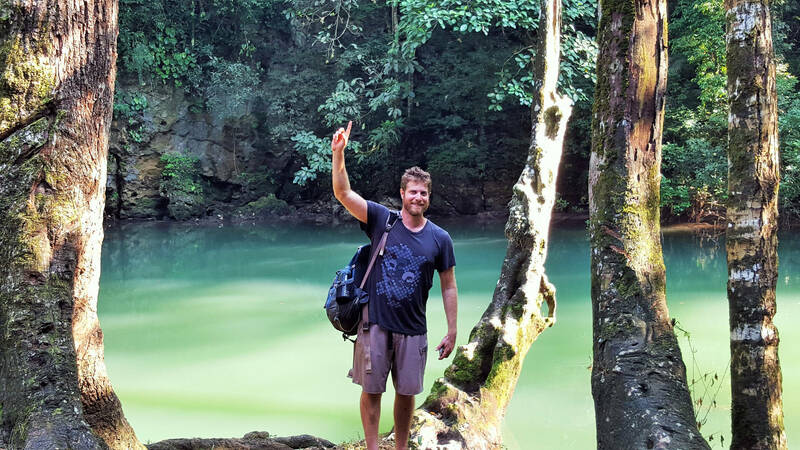 In the same place, in the middle of a thick tropical forest is a natural limestone bridge of about 300 meters long under which flows the Cahabón River. This river naturally create pools of even 1 to 3 m depth. Its turquoise color changes through the year, its color varies depending the weather and other natural factors. Semuc Champey also has a cavern. 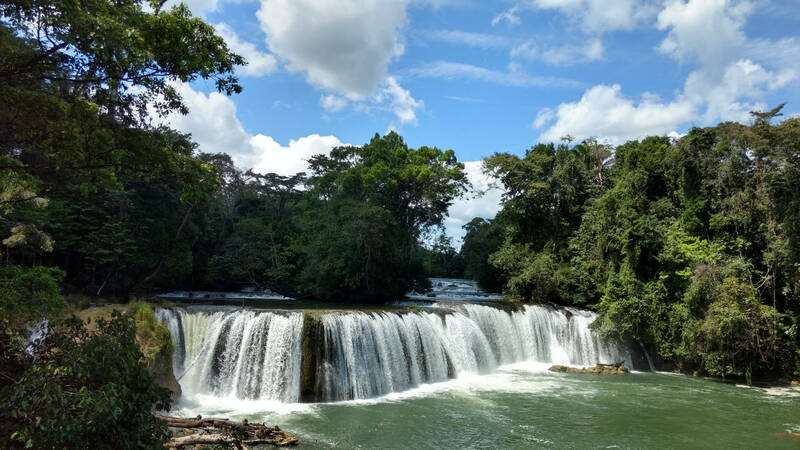 You can go to Semuc Champey from Hotel Casa Gaia in Cobán, taking the route to Lanquín (50 km of asphalt road + 12 km of dirt road); then take the dirt road from Lanquín to Semuc (another 12 km). The total trip lasts 2h 47m. The entrance to the park costs Q 50 (fifty quetzales). It has parking and restaurants nearby, where you can eat. There are guided tours almost every day to Semuc; they cost +/- Q 350 per person (this price includes guide, tickets to the park and lunch). The service is provided by third parties. But as a service we can make reservations with them for you. The caves of Candelaria are a large system of natural caves located in the transition between the highlands and lowlands of Alta Verapaz province, between the municipalities of Chisec and Raxruhá, in the region called the Transversal Strip of the North. These caves are famous for their beauty and for importance they have in the Mayans history. The main gallery has a total length of 22 km, of which 12.5 km follow the underpass of the Candelaria River. Adding the adjacent caves this extension reaches 80 km, which is the largest underground network in Latin America. 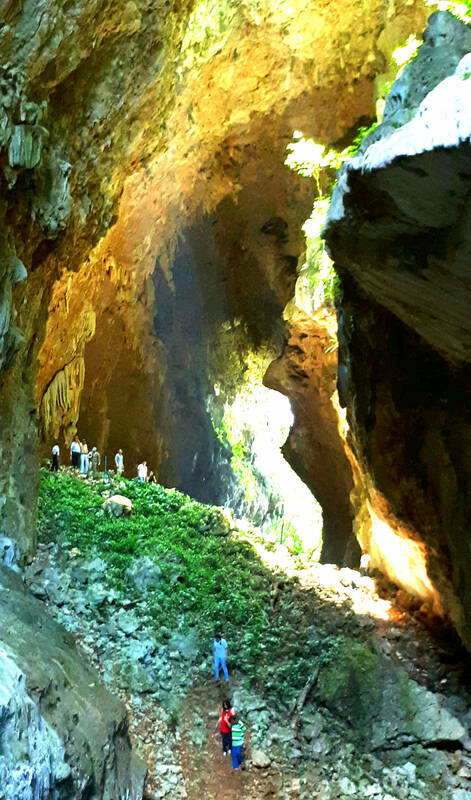 The Candelaria Caves are part of the Cuevas de Candelaria National Park, declared a World Heritage Site in 1999. 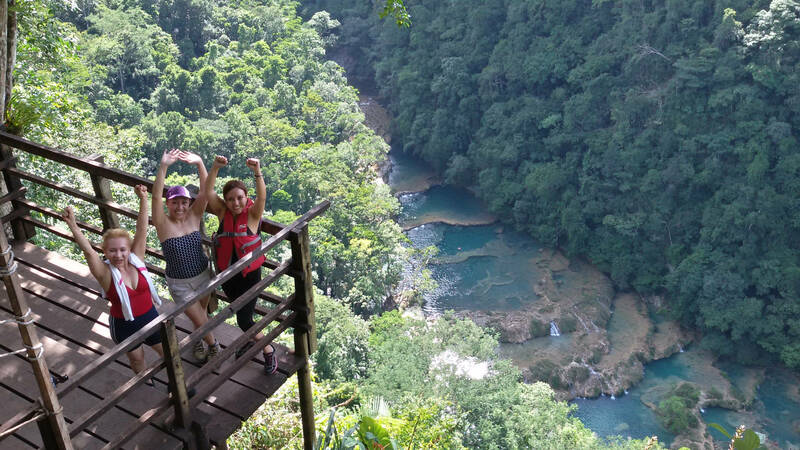 Located in Alta Verapaz, one of the richest areas in Guatemala for aquatic tourism, offering activities for the whole family. 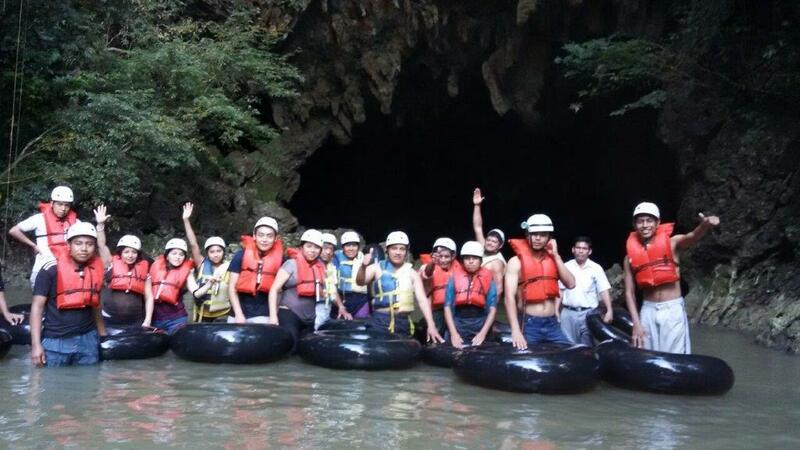 Candelaria Caves and tubing activity make them an unforgettable experience. 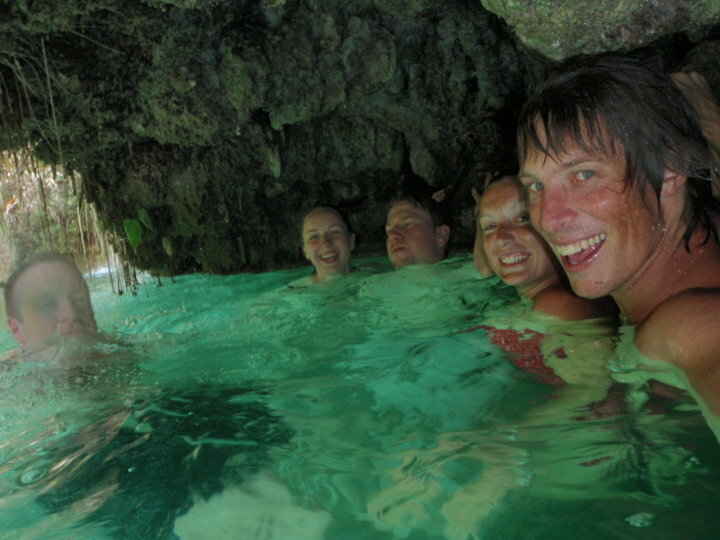 The community of Candelaria Mucbilhá offers a visit to two impressive dry caves and an exciting water ride, floating in tubes, in an underground section of the Candelaria River and an unforgettable rappel experience. On May 17, 1974, a French surveyor entered Cuevas de Candelaria for the first time, organizing 25 families from the community responsible for working on the project, providing various services. To get there, take the Chisec route and after passing through the village, turn right on the Transversal del Norte highway just before Rahuxa. There are visitor centers. 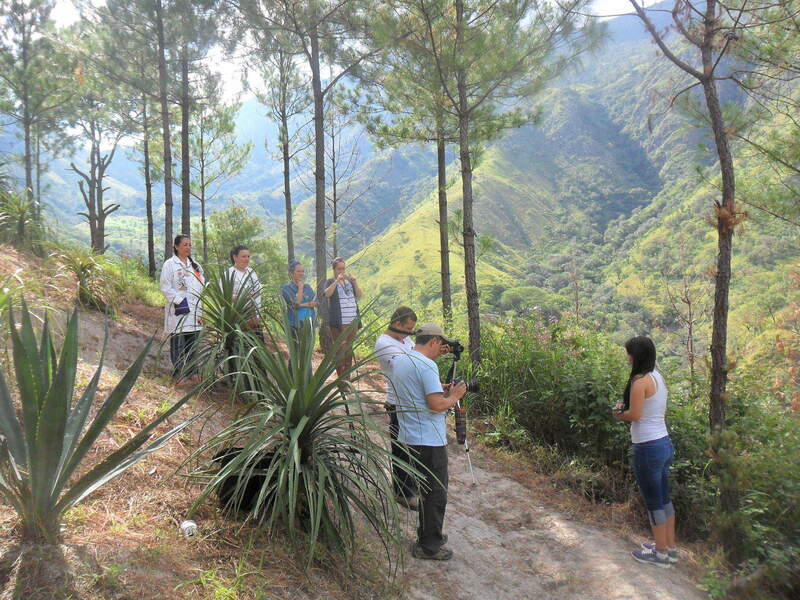 The coffee tour of the Cooperativa Agrícola Chicoj offers you an unforgettable experience. The tour allows the visitor to live with the members of the community and know the techniques of production and processing of coffee, as well as the conservation of nature. The history of the arrival of coffee in Guatemala and the cooperative. 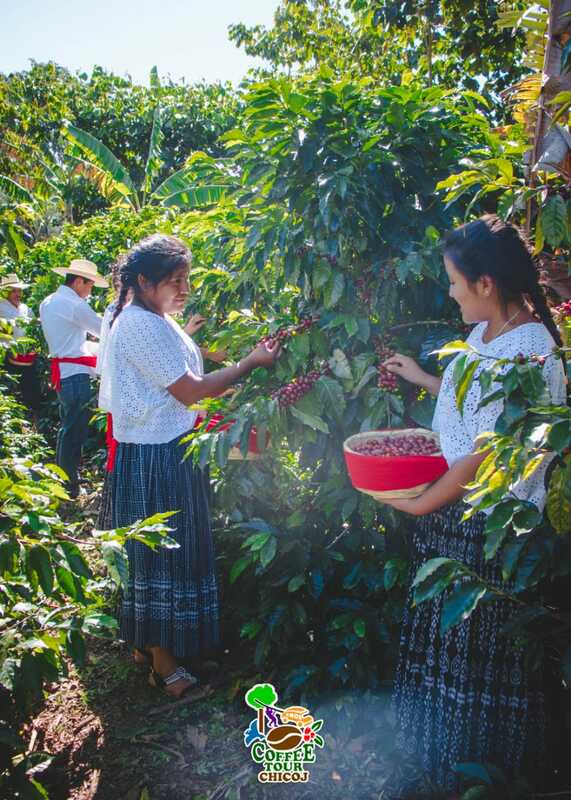 How did the Q’eqchi culture adopt coffee production and the enrichment of production processes? Coffee production processes (classification of grains, pulping, fermentation, washing, drying and marketing). 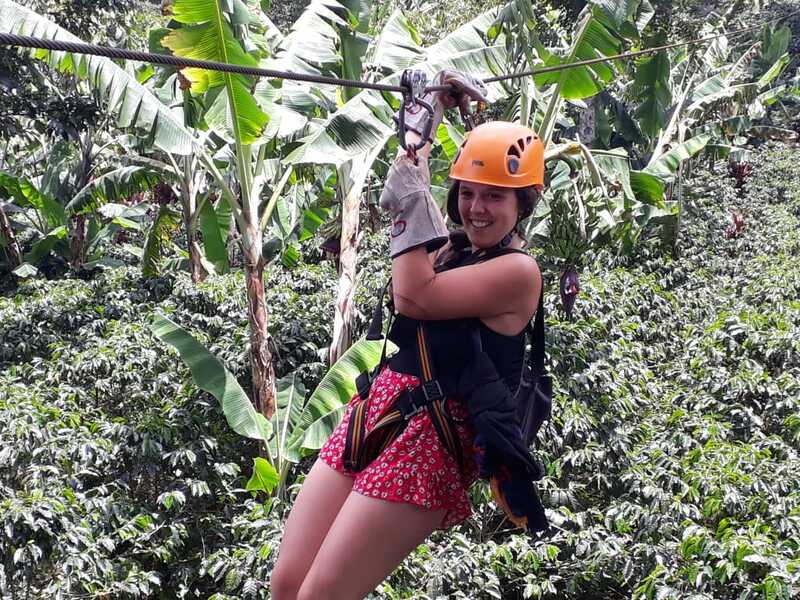 It includes an exciting canopy tour through coffee plantations and forests, as well as an artificial lagoon. Our staff will provide you with all the necessary equipment to live this experience. From Casa Gaia Hotel you can get to Chicoj by taxi (20 min). 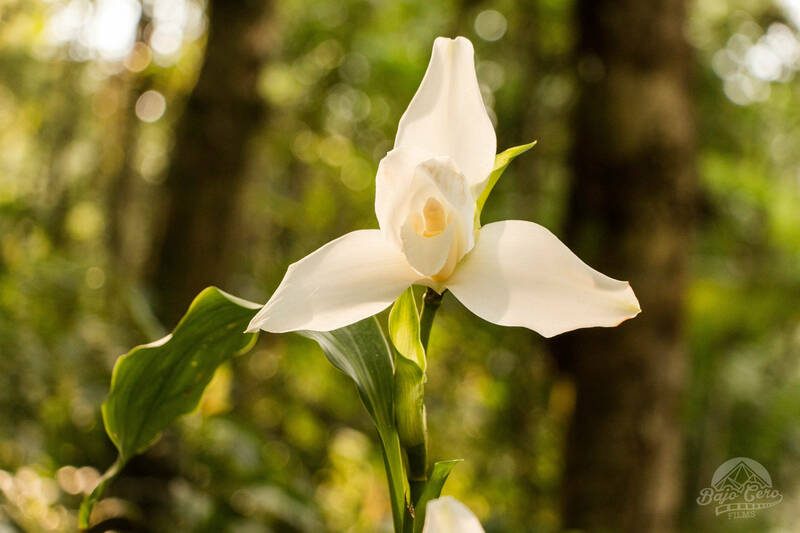 Orquigonia is an orchid rescue and conservation project, for its sustainability it offers tours and sale of orchids reproduced in the reserve, rent of cabins, workshops, special visits to educational establishments and camping areas. Orquigonia, was born as a tribute to Mr. Oscar Archila Euler RIP, well-known orchidologist of Cobán, who dedicated a large part of his life to the collection and cultivation of these beautiful plants. It is a Center for Rescue and Conservation of Orchids, Private Natural Reserve, registered within the integrated system of protected areas SIGAP-CONAP. This project has become a plasma bank of this rich region of the country. The orchid tour is a tool that is used for environmental education, while the visitor enjoys and admires the beauty of nature is aware of the importance of the conservation of ecosystems and each element within it, are 9 stations designed for the enjoyment and learning of the orchid, a botanical garden with endemic species of Guatemala, some other plants that transformed the history of the Alta Verapaz region, it also has an open garden of butterflies and a collection of medicinal plants. Within the reserve, local guides have been trained as community tourism guides specialized in orchids, certified in customer service with the Service Best Seal, giving added value to the project. Orquigonia is part of the community tourism partnership, along with 15 other destinations in the Las Verapaces region, with the objective of jointly promoting and improving the services offered. Open to the public since 2010 the park has been visited by ambassadors from several countries, students of all levels. Courses on orchids and medicinal plants have been taught. Different groups of Scouts have made camps and religious ceremonies in the small chapel dedicated to St. Francis of Assisi, patron of the plants and animals that the reserve possesses. Groups are attended from Monday to Sunday, from 7:00 a.m. at 5:00. p.m., the entry price is Q50.00 per person, includes a drink, repellent and tourist driving by community guides registered with INGUAT, For large groups and students special prices. Orquigonia is located at kilometer 206 (back of the triumph) of the Verapaces route, 5km before arriving at Cobán on asphalted road in the jurisdiction of Chicuxab village, Cobán Alta Verapaz, Guatemala. It is located at 1480 meters above sea level in a mountain forest. From Casa Gaia you can easily reach by Taxi, who charge around Q 50 per trip (from 1 to 4 people). 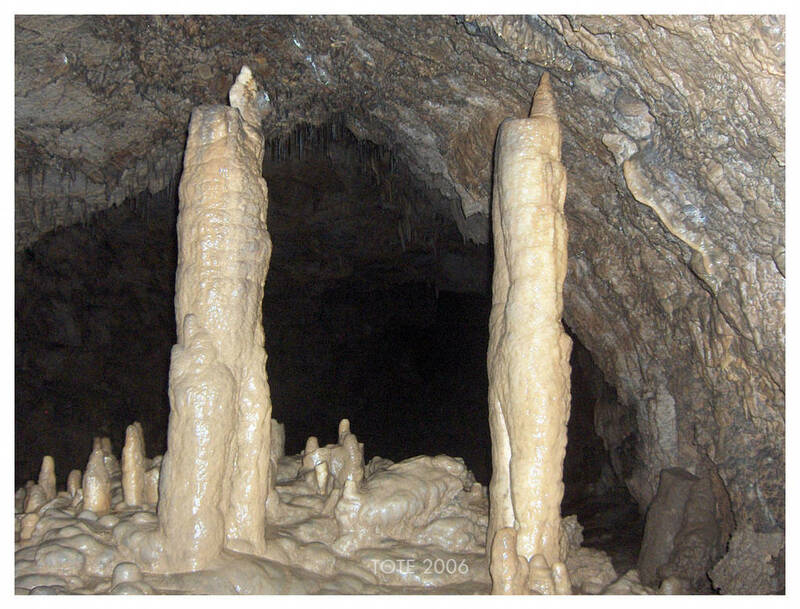 The caves of Rey Marco are located in the municipality of San Juan Chamelco, Alta Verapaz, Guatemala. At a distance of 11 km from Cobán (21 min). The Caves are located six kilometers from San Juan Chamelco (10 min more) since its discovery in 1988 has been considered by the inhabitants as a sacred place. They are a series of vaults of various sizes, inside which there is an underground river that crosses them. They also have natural stone formations that the water has formed with the minerals of the region. There is a short route and a longer one and to do it, special equipment is necessary (helmet lamps, rubber or rubber boots). Among the activities that can be done on the site are fishing, rowing and camping. Rey Marcos staff will provide you with all the necessary equipment to live this experience. 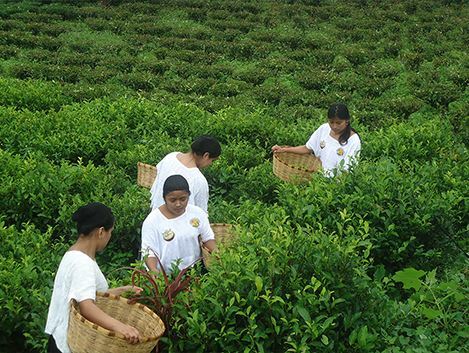 This is the only tea tour in the north of Guatemala, where the qeqchies producers, both men and women, are dedicated to the production and industrialization of CHIRREPECO TEA. We are confident that your experience with them will be unforgettable. Visit to the tea plantations and the industrial plant. Description of the planting process, care, collection, processing and marketing of tea. A visit to the museum, which has machines and facilities that were used more than 90 years ago to process the tea. 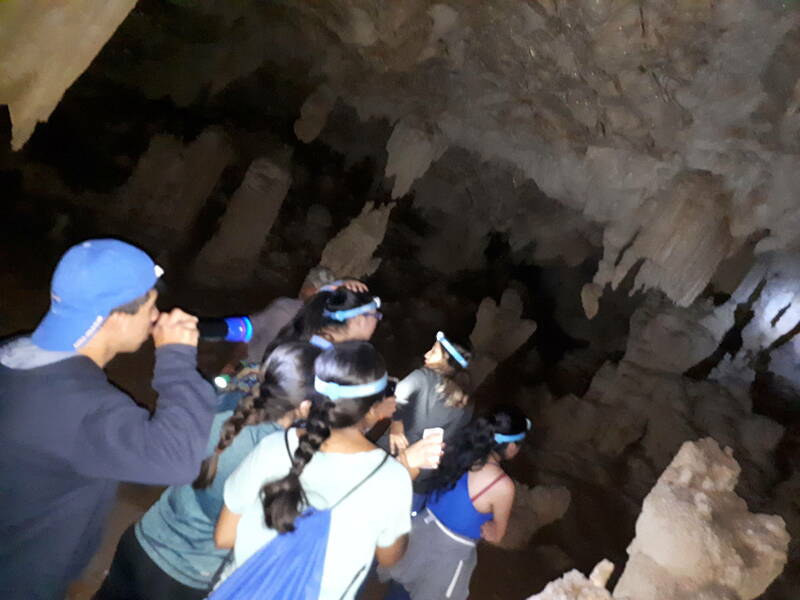 A visit to the sacred caves, which has a very important role in the cosmic vision of the Q’eqchi Maya culture. Of course, a tasting of the delicious Chirrepeco Tea and the opportunity for visitors to buy it in their different presentations to continue enjoying at home or to take it as a gift. If the visitor wishes to have lunch with a local family, it is advisable to notify the staff 24 hours before. The staff will prepare a very special typical dish. Average travel time: one hour with thirty minutes. This plantation offers short and long tours (according to your schedule). To get there, you can take a taxi from Casa Gaia. The place is 5 km from the road that leads to San Juan Chamelco. 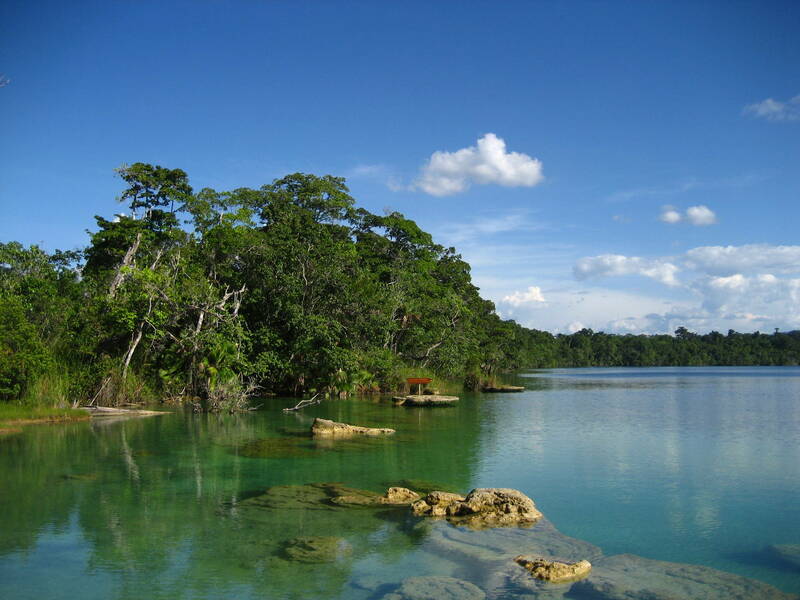 Lachuá lagoon is a cenote in Guatemala. It is located in the tropical forest in the municipality of Cobán, Alta Verapaz. The lagoon has a circular shape and is probably a flooded sinkhole. The water of the lagoon has a sulfuric smell, which explains the origin of its name: “Lachuá” is derived from the words kekchí “li chu há” that means “fetid water”. The water contains a high degree of calcite; branches of fallen trees in the lagoon are quickly covered with a layer of white calcite. The lagoon is located in the center of the Laguna Lachuá National Park, which was created in 1976. The park covers an area of ​​145 km², and contains more than 220 species of plants and 210 species of mammals and birds. It is ideal for those who want to escape the routine, and the noise of the city; or who want to live an adventure. A destination for all kinds of people who like to swim, camp, enjoy animals, nature and much more. Many questions arise when you think about being in the middle of the jungle, there are no stores in which to buy food, for which each tourist must bring their own; be careful with animals, and respect the rules that make Lachuá a harmonious coexistence. To get there: Drive on the CA-9 road to the Atlantic, when you reach the ranch, continue to the left for the road to Cobán, approximately 210 km from Guatemala City. There you will stay at the Casa Gaia hotel. Then continue the journey to Chisec which is located at km 300. After Chisec you will find signs, driving for them the road to the left, if you go straight (the road leads to Petén). When passing Chisec you must drive approximately 64 km most of the way is paved. From Casa Gaia, in Cobán, it takes 3 hours to get to Lachuá. 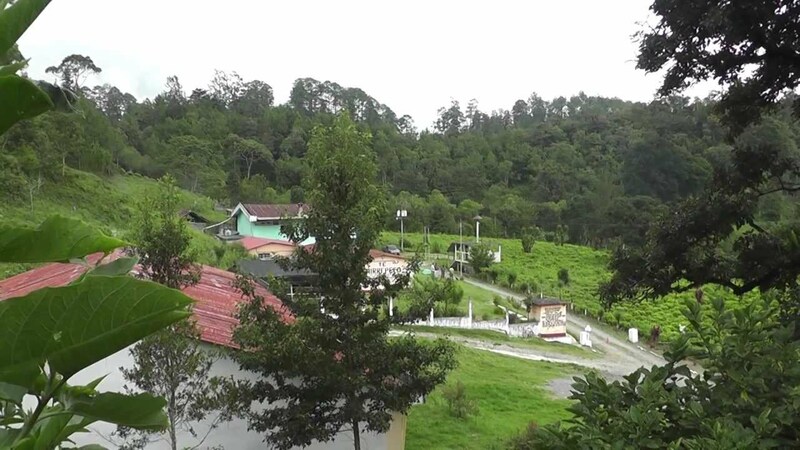 360 km from the capital of Guatemala (148 km from Cobán -2h 30-), in Alta Verapaz, in the direction of the northern cross-section, there is the information center of the Caves of Se’tzol, a small paradise of nature, beauty and vegetation. The caves of Se’tzol are located two and a half kilometers after the information center, a place where you can only reach after a walk that lasts about 30 minutes. 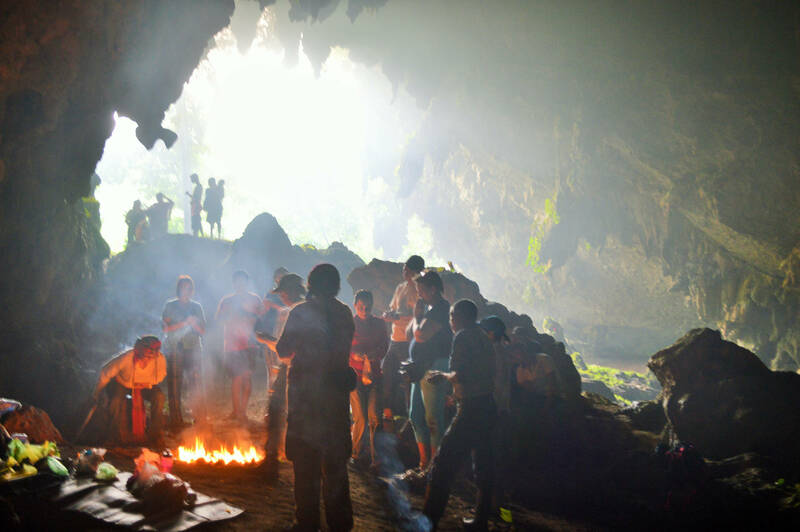 The journey to the caves is mountainous and humid, so visitors are advised to arrive with comfortable clothes and shoes, as well as clothing that can get wet because the Chiyú River passes through the caves. The trip to the caves of Se’tzol is quite an experience that could take a day to explore. There are approximately 25 caves that make up this complex, only five have been explored and therefore open to the general public. The caves were discovered in 1932 by residents of the nearby Maya Q’uechi ‘community, who see this place as a place of workship and pilgrimage. Se’tzol, which in Spanish means “in a row”, is located specifically in the Chahal municipality. In the middle of a regularly tropical climate, the weather can change, but it depends on the time of year. Se’pemech, better known as “Las Conchas”, is a place located in the municipality of Chahal, in Alta Verapaz. Its name comes from the Q’eqchi ‘language, which means “shells”. It is so called because at the bottom of the river you can see fossils of shells and snails. The place has several pools of different depths, there are some very deep and others smaller for those who can not swim or for children to have fun. 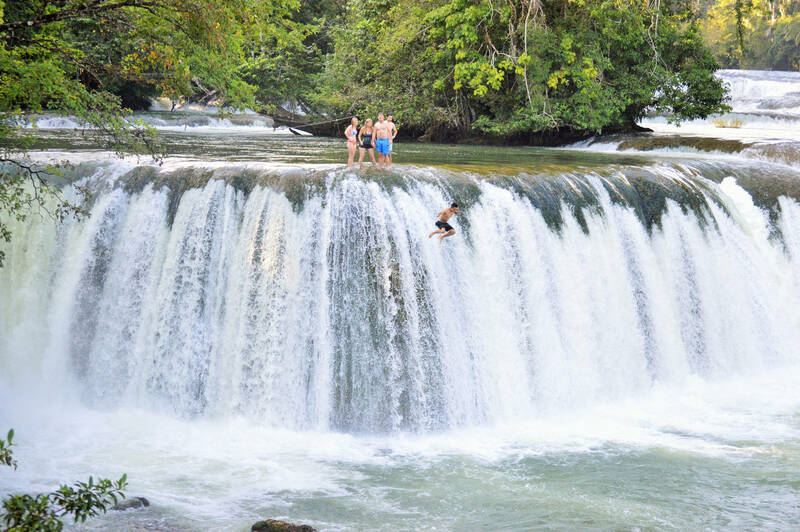 You can also see a waterfall that has a height of approximately 10-15 meters. 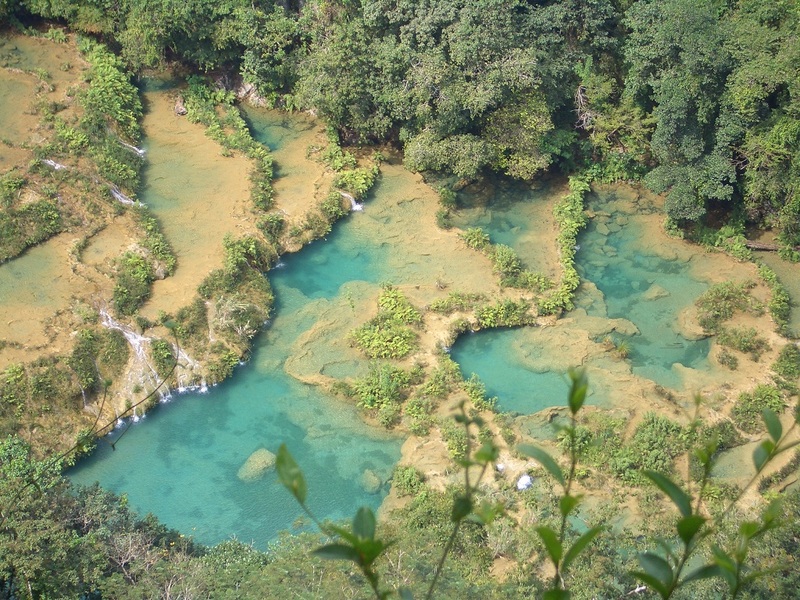 Although the color of water is not turquoise, like that of Semuc Champey, it is clear and allows visibility. To see the place in all its splendor you have to go up to the viewpoint, a wooden structure where you can appreciate the view of the place. You can get to Las Conchas from Cobán and from Rio Dulce River. The distances from Coban and Rio Dulce are almost the same, approximately 365 km. Las Conchas is 15 minutes from the municipal seat. And from Cobán to 153 km (2h 50). The cost to enter Las Conchas is between Q20 – Q30 per person. One attraction is the Se’tzol caves and it is recommended to obtain a guide to visit them. For the more adventurous tourists you can camp and admire the stars. There is a place to make bonfires, so you can take food to cook, or book a bungalow in advance, this can be booked at the Hotel Villa Santa Elena, 30 minutes from the place. This is a recommended place for the whole family, from the entrance you only have to walk between 5 and 10 minutes to get to the river. 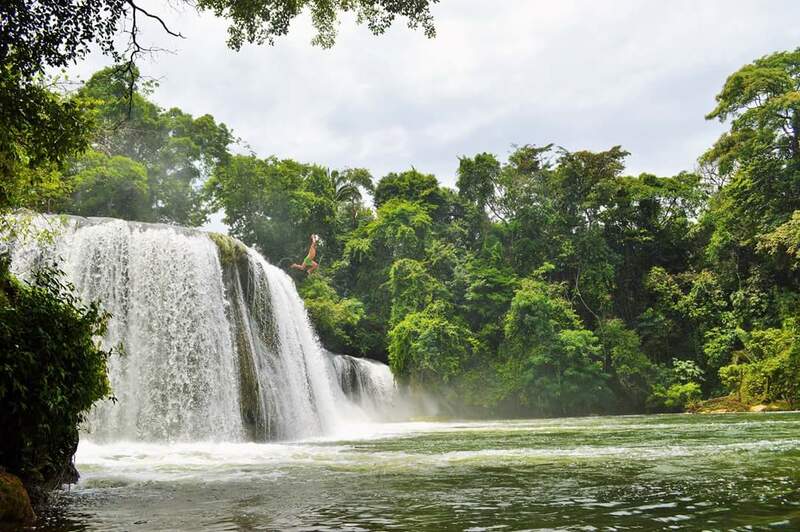 Guatemala is known for its diversity of climates and micro climates in which multiple species of flora and fauna inhabit. One of its greatest attractions to see the fauna is the Quetzal, an endemic bird of the Mesoamerican region. 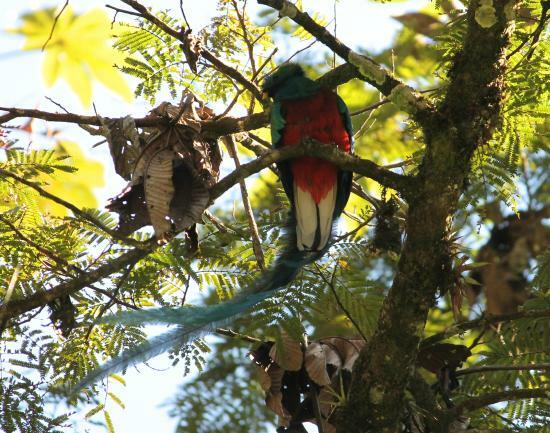 Many people travel to see the quetzal in the Biotope, and sometimes it is very difficult to observe it in their habitat. One option is to visit Ranchitos del Quetzal (Reserve Kukumatz), in the vicinity of the Biotopo, to have the certainty of seeing the quetzal. That is why they create a place where tourists can spend a good time inside the facilities and satisfy their illusion of being able to observe this magnificent bird in a natural environment and even more to be able to photograph it. For more than 20 years, Ranchitos del Quetzal has opened its doors, providing tourists with a new experience, with a humid and cold climate because it is located in the cloud corridor, which makes the Ranchitos very welcoming. Observing the Quetzal has a cost of Q40. It is an ideal option for those that doesn’t have much time or is just passing through the place. Its location is strategic and extremely busy. The reserve Kukumatz de Ranchitos del quetzal is located on the CA-14 road, at kilometer 160.5 (51.1 km before reaching Cobán). 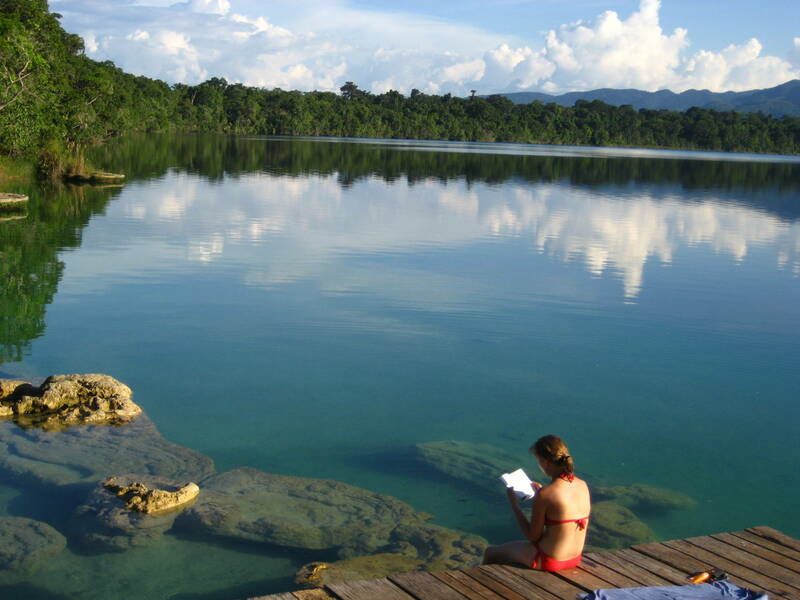 You can pass on your way to Cobán or when leaving Casa Gaia towards the Capital of Guatemala. 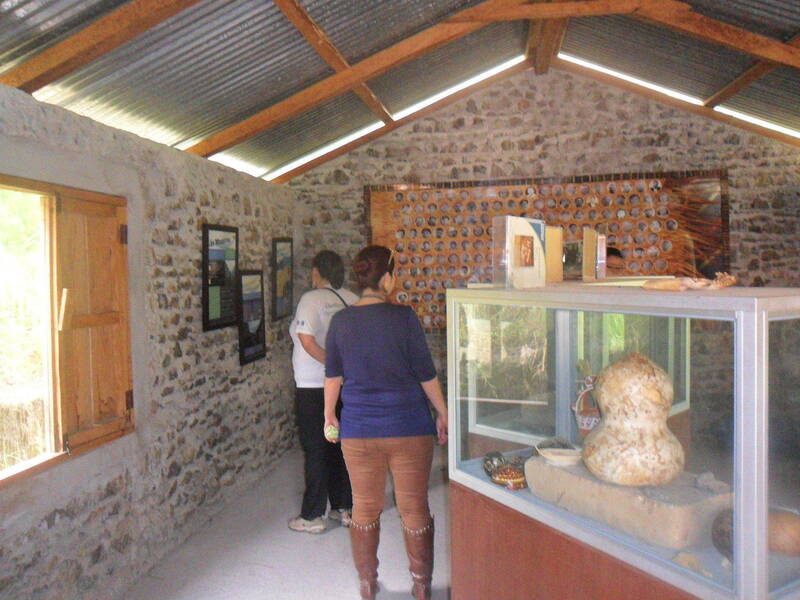 The “RIIJ IB’OOY” HISTORICAL CENTER was built by the community in 2007, with the purpose of creating a learning environment about the history and culture of the Achi region, making known the historical events of the pre-Columbian and colonial times, as well as its recent history due to the internal armed conflict, as well as its customs and traditions. 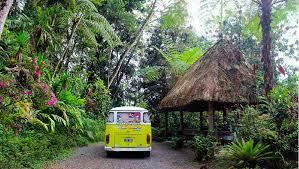 It also offers accommodation and food service to domestic and foreign tourists who visit it (up to 30 people). 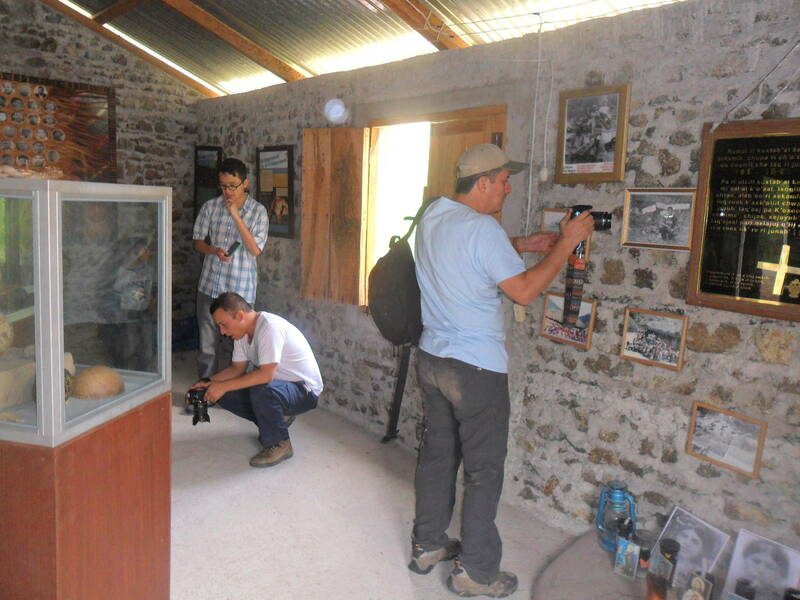 Visitors will observe a paradisiacal landscape, an area for outdoor activities, a library with literature and documentaries, with the history of the region; exposing archaeological findings and most importantly, the tour of the El Sendero Museum of Memory “The Sun Renace in Pak’oxom”, illustrating the visitor about the massacre that occurred on March 13, 1982. 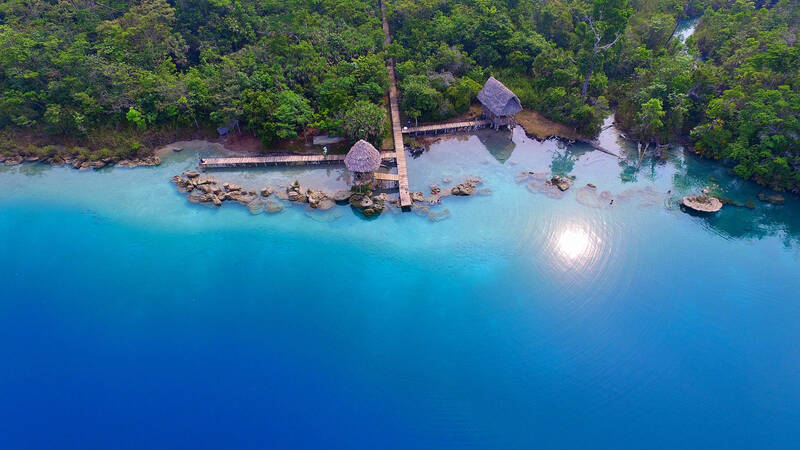 It also offers boat trips to other sites archaeological, especially the so-called Kawinal; tours in beasts or on foot, to know the community and its surroundings, small courses to learn how to make cast nets, hammocks, napkins, bags and other crafts of the place. At km 192 of the road to Cobán, at the “El Cid” junction in Tactic A.V., take a dirt road to the Pueblo Viejo dam, boarding a boat in a 6-kilometer route. Prior to the trip you should contact the Katinamit Museum.